The official currency of the Eurozone and the institutions of European Union, the Euro is the second largest reserve currency. Only second to the USD, Euro is also the most traded currency in the world. Introduced to the world as an accounting currency on 1st January 1999, and finally circulated as coins and notes in the year 2002, the Euro soon caught up, and as per a 2012 estimate, it has the highest combined value of banknotes and coins in circulation in the world. A currency that had been initiated with a lot of optimism, and that traded for years above the mighty US Dollar has been immersed in the European Sovereign-debt crisis since the year 2009. Eurozone and EU, which themselves have been facing a severe financial crisis, have been trying to stabilise their currency by introducing various reforms, which include the European Financial Stability Facility. Despite the innumerable measures and speculations, the financial crisis and the debt woes in EU and Eurozone nations, specifically Greece and Spain, and now Italy, continues to gather storm, and in June 2012 Euro fell below US$ 1.24 for the first time in two years. That's not all, for only on July 10th 2012, Euro touched an all time low of an equivalent of US$1.2234. There have already been myriad analyses on what will this and a seemingly impending financial doom for many of the EU nations augur for the Euro, the Eurozone and the global financial scene. As per a latest one, the trade analysts are optimistic that a fall in the value in the Euro will improve the trade balances of the Eurozone member nations by expanding global demand for European exports -- a move that will help bridge the gaping budget deficits in Spain, France, Italy and Portugal without taking a toll on incomes. What really lies ahead for the Euro, and the 27 member countries of the struggling European Union. Does this indicate a financial doom, an economic depression for the Eurozone nations or, as sceptics have always believed, the disintegration? Will growth reforms work or can austerity measures, already under the scanner, help Eurozone cut corners? Ganesha, with the help of Vedic Astrology, looks at the EU chart, and predicts what lies ahead. The EU Chart, EURO launch chart (1st January 1999) and EURO Legal Tender (1st January 2002) chart have the same Virgo Ascendant and Sun in the 4th House in Sagittarius 14 Degree. The transiting Pluto is in a tight conjunction with the natal Sun in all the three charts. Also, the transiting Saturn is passing through the 2nd House, and the transiting Rahu will join Saturn in the 2nd House from 24th December 2012 onwards. It can thus be surmised that the year 2013 may be a year of major upheaval, struggle and maybe deconstruction for the EUROPEAN UNION. There may be too much uncertainty, fear and speculation regarding Euro's future too. The Solar Eclipse of 13th November 2012 will fall in the 2nd House of finance in all the three charts. Lunar Eclipse of 28th November 2012 will fall exactly over the EU's 3rd House Mars. This implies that the top leadership of EU will be under severe pressure and may even feel direction-less, especially with regard to the future course of action. Issues may arise related to national sovereignty and identity of the member countries. The Lunar Eclipse of 25th April 2013 in Swati Nakshatra will conjunct the EU's 2nd House Neptune in opposition with the 8th House (house of joint finance) Moon. 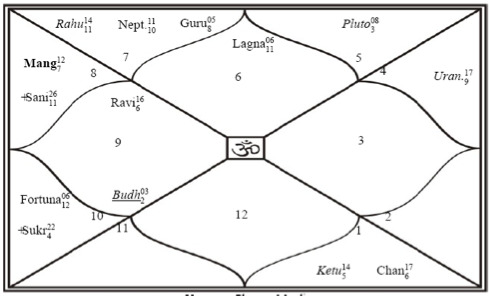 The 2nd-8th House's axis will be severely affected in all the three charts, due to the Solar Eclipse of 13th May 2013, and the Saturn-Rahu conjunction in the 2nd House. Adding to this, Mars and Mercury will also be passing through the 8th House during May 2013. Hence, a good deal of destructive politicking behind the scenes may have a further debilitating effect on EU's future. This planetary set-up may most probably lead the EUROZONE to its next real crisis of economy. The EU leadership may take many steps to avoid panic and failure. However, the lack of understanding between the member countries and the negative criticism of colleagues may not allow them to control or soothe away majority of the problems. The year 2013 certainly indicates a complete upheaval and collapse of the old structure. The period from September 2013 onwards will be a decisive one for the EUROZONE. There will either be dissolution or the rebirth of EU (in a different form). And, Euro too may not survive, in its present form.